Nimble Partners is no longer taking on work. We are grateful to our clients and friends for 11 exciting and rewarding years! Contact Debby for web and mobile UX design and consultation. Contact Tania for multi-channel UX design – designing information & interactions across platforms. We work together if the project is a fit. Deborah A. Levinson bridges gaps between the design, engineering, and communications worlds, with over 20 years of experience helping these groups develop well-organized and intuitive sites and applications. As a principal at Nimble Partners, she provided expert UX design and consultation, usability testing, and content assessment to software companies, higher education, and nonprofit institutions. She particularly enjoys translating complicated administrative processes into powerful but easy-to-use interfaces. Administrative interfaces are often usability-challenged and visually unappealing, but the right interface can make the difference between a good day at work and a bad one. Debby is an MIT graduate, and in addition to co-writing Visual Usability: Principles and Practices for Designing Digital Applications, co-authored The MIT Guide to Teaching Web Site Design. She also teaches responsive web coding to undergraduate design students at Northeastern University. Tania is a user-centered designer who focuses on design as a tool to understand people, and help them connect to information. 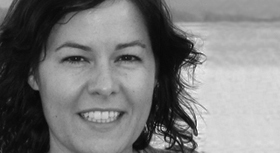 She leads UX, visual, interface, IA, and interaction design efforts. She has designed everything from suites of enterprise applications, to mobile apps, to websites, signage, and print publications in her 25-year career. Her toolkit is full of research and design methods that cross disciplines. 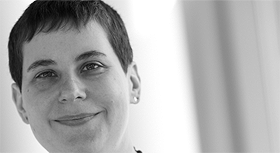 Tania teaches undergraduate and graduate design courses at Northeastern University. 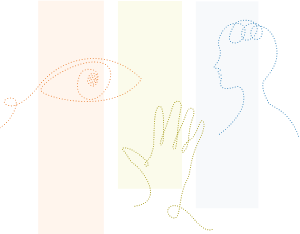 In addition to consulting work, she is interested in partnering on research into visual design characteristics and how people perceive and interpret visual information. Digital interfaces rely on visual design to communicate – layout, type, color, and imagery, along with controls and affordances. 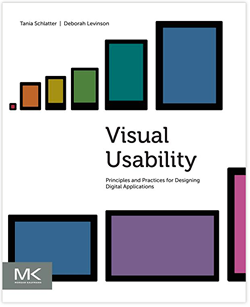 We've written Visual Usability: Principles and Practices for Designing Digital Applications to help teams design and evaluate visual user interfaces using a common language grounded in how people perceive and interpret what they see. Each chapter offers guidance on how to make strategic decisions about layout, type, color, imagery, and controls and affordances that will bridge the gap between beautiful and useful applications. We're proud of the work we've done and the clients we've collaborated with. Following is a sample of archived projects we can share. Please contact Debby or Tania for other or more recent examples.